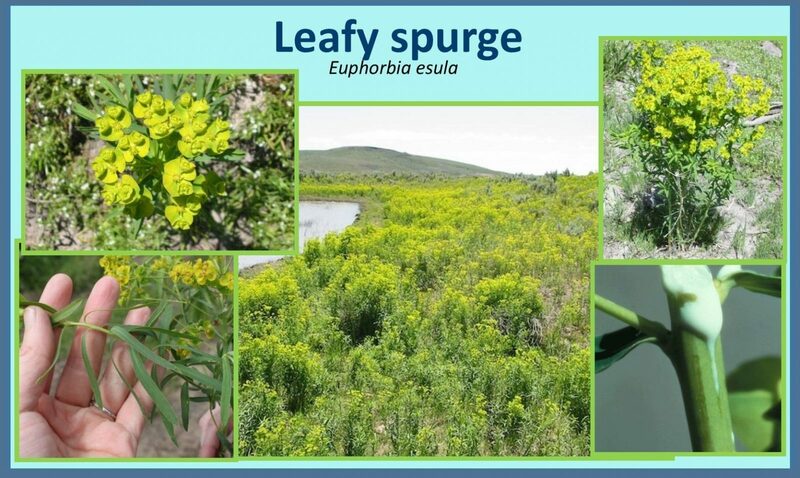 Leafy Spurge is a deep-rooted perennial from 6 to 36 inches tall. Plants begin growing in early spring before their competitors. It typically blooms from May to October. Each umbel supports seven to ten groups of tiny flowers, subtended by four glands and two conspicuous greenish-yellow bracts. With bluish-green leaves, it has milky sap that will flow from any part of the plant. This sap may cause severe irritation to human skin and blistering and hair loss on the legs of horses in heavily infested pastures. It competes strongly in pastures and rangelands reducing desirable forage. 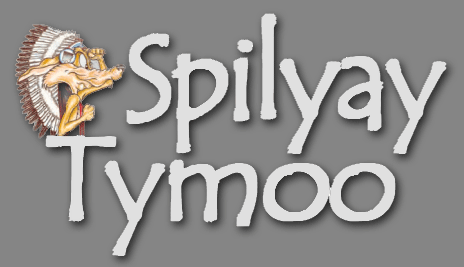 This entry was posted in Community and tagged Invasive Weeds, Leafy Spurge, Warm Springs.